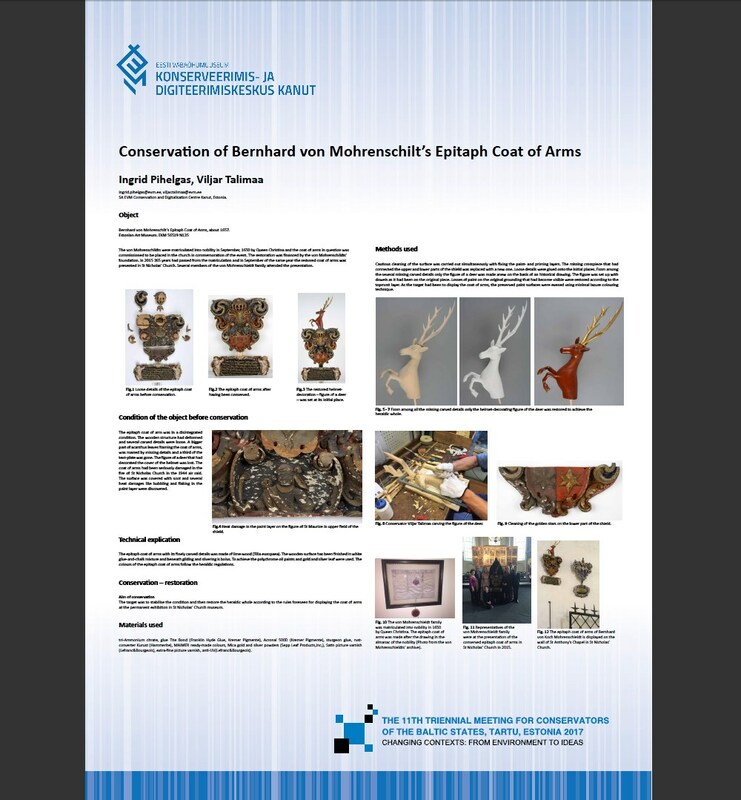 The epitaph coat of arms of Bernhard von Koch Mohrenschildt that now belongs to the Estonian Art Museum’s collection was restored with the financial help of the family. The von Mohrenschildts were matriculated into nobility by Queen Christina in 1650 and the epitaph coat of arms in question was commissioned for St Nicholas’ Church to celebrate the occasion. The epitaph coat of arms was in a badly damaged condition. Damp cleaning of the surface was carried out simultaneously with fixing the layers of priming and paint. Where the surface of the original grounding became visible, the paint losses were restored according to the topmost layer of paint. Loose details were fixed at their initial places but from among the missing details only the figure of the deer i.e. the helmet decoration was substituted in order to produce a heraldic whole.